Would you like to master pinch harmonics technique and give your solos that magic ‘pro’ touch? 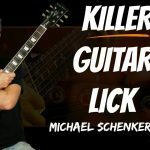 Stay tuned to discover what they are,how to nail the technique and how to make them sound awesome for powerhouse rock and metal solos! Secrets for where to hit the string to get them sounding full, fat and awesome! Powerful exercises to get you nailing them every time! It’s what you do with them that counts! Discover awesome tips to bring them to life (and get them sounding like your heroes. After watching this lesson, you’ll be able to master this awesome technique and get your harmonics sounding as cool as Steve Vai, Eddie Van Halen, Zakk Wilde, Billy Gibbons and many more. 0:23 Check out this intro jam to hear a demo of what pinch harmonics sound like. In this guitar lesson you’ll learn what pinch harmonics are, how to get them and how to make them sound awesome. Let’s jump in! 0:30 Pinch harmonics…what are they? If you don’t know what pinch harmonics are, well you’ve definitely heard them before! They’re what guitar players use to get that ‘squealing’ sound on a note. Want to know how to play pinch harmonics on electric guitar? Let’s look at the techniques you need. It sounds easy when you break it down but does take a little while to get the hang of. The basic technique for getting pinch harmonics is striking the string with the pick and your thumb, sort of at the same time (at least that’s what it feels like). This sounds easier than it is! Don’t be frustrated if your pinch harmonics a little inconsistent to start with…with practice you’ll get those ‘squealies screaming’! 1:45 Try picking along the length of a string playing a pinch harmonic. Notice how they come out a bit easier at some points than others. If you target these ‘sweet spots’ it can help you to learn the technique. Notice where these areas are and hit the string there when you want one! As a guideline, around the neck pickup area on your guitar is often a good spot to target. 2:45 Pinch harmonics are possible with a clean sound, but they’re much easier to get with a distorted guitar sound. Crank up the gain a little and use your bridge pickup to make them easier. 3:15 If you just use this technique then it doesn’t sound like much…but add some vibrato or a bend and they come to life. So think about how to ‘manipulate’ the harmonic – this is the secret to getting awesome sounding pinch harmonics in your licks and solos! 3:55 So there you go. You know what pinch harmonics are, how to get them, and how to use them as an awesome guitar effect in your playing.